Take that money straight to the Bank. Catching a movie? Catching your tinder date catching a movie with someone else? Make it your business to eat at some of the best and brightest restaurants South Bank has to offer (and delete that app. And throw your phone into the brown snake), and everything will be right in the world yet again. 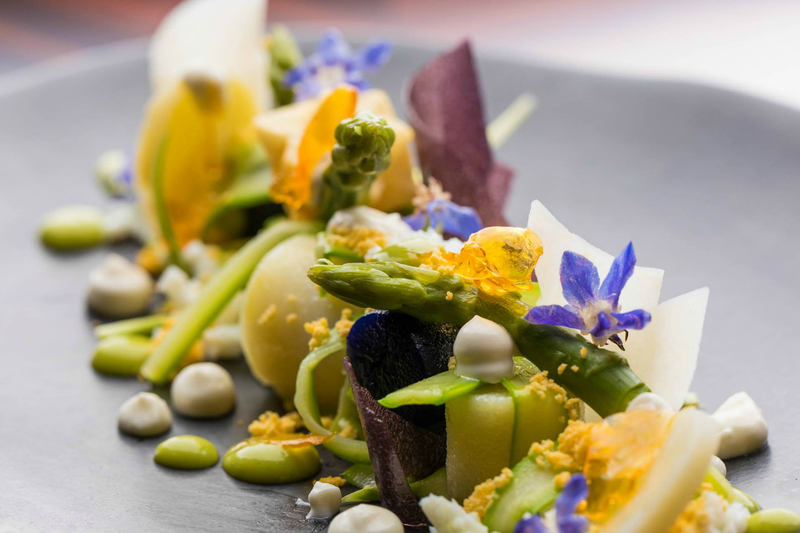 Scroll down to view our guide to the best restaurants in South Bank. Place your bets on experiencing authenticity and quality taste straight from Ahmet’s Turkish Kitchen. Across an extensive lunch, dinner and cocktail menu, you can expect to find the likes of a Belly Dancer Martini, lamb dumplings with yoghurt sauce and paprika butter, chorizo pide with tomato and mozzarella and roasted baby eggplant with house-made tomato salsa, confit garlic, capsicum and onion. Onions have layers, Ahmet’s have layers. First we siesta, then we fiesta. Olé sports classic Spanish cuisine that’s made to share, with plenty of solo substantials for the Joey Tribbiani’s of the world. The main menu offers standouts including three jam packed paella’s and chargrilled tuna steak with romesco sauce, semi dried tomatoes and goats curd. And on Sunday’s, we breakfast. Wake up with an eggs benny featuring jamon serrano for a welcome twist, and wash it down with a virgin sangria. Hola! Nine nine! Brooklyn Depot are your friendly neighbourhood burger boys, known for their Brooklyn Classic and cheeky Chicky Babe. The yuge menu backs the likes of lobster mac and cheese, shrimp tacos, pork belly thingies (we love a lazy name), and super shakes such as the Yo’ Mama with strawberry puree and Kit Kat shards. It’s safe to say that they’re making feasting great again. Let’s (Chica)go. Tippler’s Tap speaks to a soul that’s hungry for satisfaction, from their crisp craft beer to a Pacman and pinball machine. As for the menu, well, how does $2 Taco Tuesdays (with a $3 vegan option) and $25 Rib Wednesdays sound? You can also get down and dirty with a selection of burgers, hot dogs, Reuben sandwiches and an extensive vegan and vegetarian menu. Tap tf in. Stick a chopstick in us, we’re done. Suki is sure to poké bowl you over with numerous variations of the very thing, as well as a range of sushi burritos. Yep, they do two things, and they do them damn well. Choose all your favourite bits and pieces from a selection of protein and produce, or go for an Angry Bird or Suki Salmon. Suki to me, baby. All the spaghetti, none of the regretti. Across a menu of traditional Italian fare, you’ll be spoilt for choice with everything from calamari fritti to rigatone with basil, rocket and pine nut pesto, wine and cream. Top things off with a tiramisu and your one and only, the humble negroni. Perfezionare! Take a drive down Bourbon Street menu for a 10/10 time. Starting with brunch, you can stop over at French toast with orange liqueur or pulled pork po boy with bbq sauce served in a freshly baked baguette. Pull up to dinner favourites including a New Orleans chicken stew, braised beef brisket and cajun blackened seasonal fish. Now that’s a road trip. One fish, two fish, Paper Fish. If you’re on the seafood diet, feast your eyes on the seas best, with faves including crunchy crinkle cut chips, coconut prawn tacos with avocado, cabbage and chipotle mayo, and fresh grilled salmon. Just keep (eating) swimming. Charmed, I’m sure. The Charming Squire boasts a big space, with huge flavours bursting from their bar and restaurant kitchens. Make sure you dig in to the handmade potato gnocchi with wild mushrooms, peas, pumpkin and grand padano, and slow cooked beef croquettes with smoked tomato and almond dip, basil oil and red elk. Grab a mojito with brojitos and kick back at this South Bank fave. Prost to a never-ending Oktoberfest! Munich Brauhaus keeps their eyes on the stein with pork knuckle, schnitzels, bratwurst, sauerkraut, and every other bite that German dreams are made of. Come for the food, stay for the strong party vibes. Back up sips at Soleil Pool Bar with a gourmet Bacchus experience. The restaurant menu boasts excellence, featuring kangaroo with potato, lemon, kale and horseradish, and champagne lobster with Witches Falls Chardonnay sauce and caviar. Delicious side note: if you say please, you’ll be be treated to the chef’s private cheese selection from the trolley. Brie there, or brie square. Stokebar is Stokehouse Q’s casual sister, offering sweeping riverside views, cheery cocktails and a cheeky revamped menu. Get your paws on a prawn sanga, bolognese and mozzarella jaffle, cod fritters and buttermilk fried chicken with aioli, and let a Short Stack cocktail or frosé be the cherry on top of a peachy day out. Big house energy. Little Big House has a Queenslander’s worth of worthy eats, including life changing chicken parmy spring rolls (ya-huh), juicy rotisserie rolls, veggie rissoles and ice cream sundaes. Honey, we’re home. - the gourmand who puts the rest in restaurant.